I made a Father's Day card for Austin to give Brad. I didn't really have a thought process here but I found a card on Pinterest that gave me some inspiration. Check out the inspiration card here on My Wise Designs. 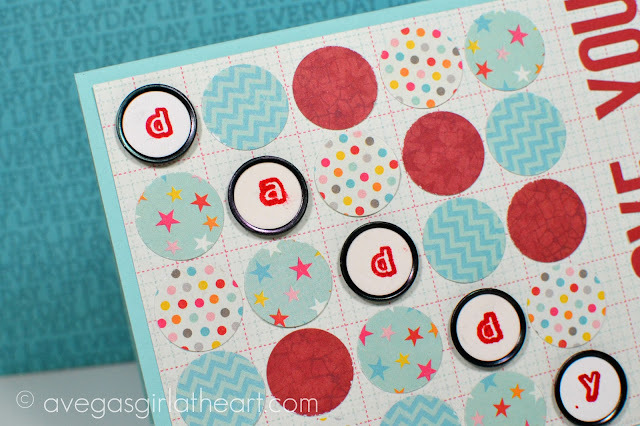 I had some circle embellishments that are meant for stamping or coloring on from EK Success and matched them up with a 3x4" circle punch from Stampin' Up! to make this one. It's a little girly but Brad isn't the type to mind things like that. The "I Love You" was made with Snap! stickers from Simple Stories. 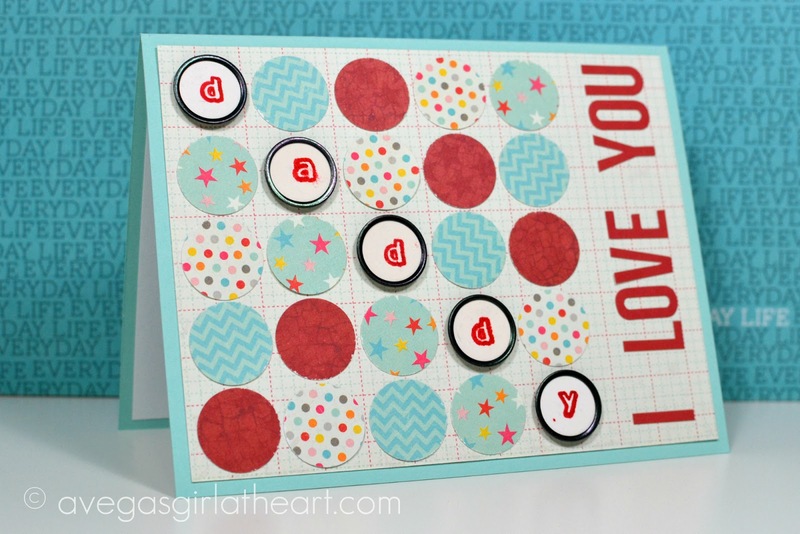 3/4" Circle Punch - Stampin' Up! I don't think this is too girly at all! I love it :-) I am sure he did too! I think it's the pink and aqua that is making me think girly. :) thank you! I really love this card!! You could use different colors and sentiment and make it for any occasion! :) Just lovely!